Crispy green olives with a creamy feta cheese filling. 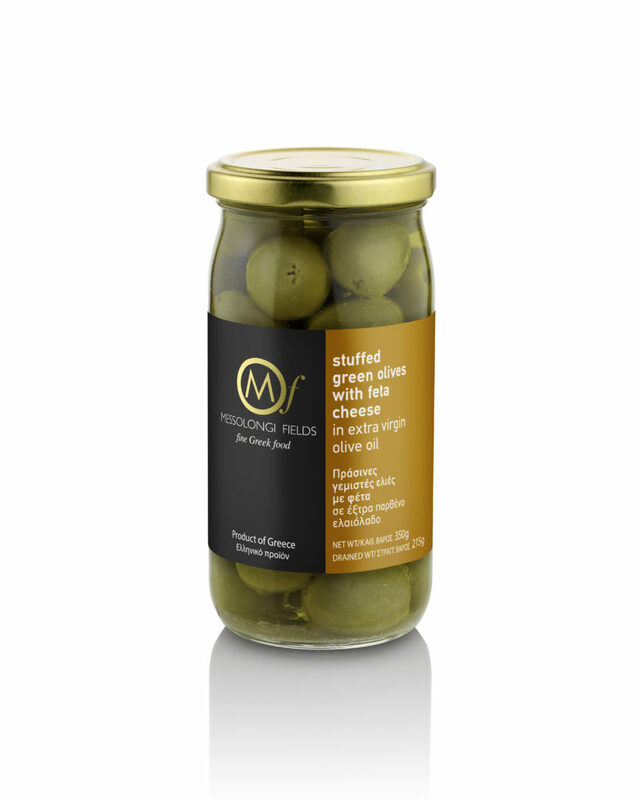 Preserved in extra virgin olive oil for a delicious and healthy appetizer or snack. A melt-in-the-mouth experience!